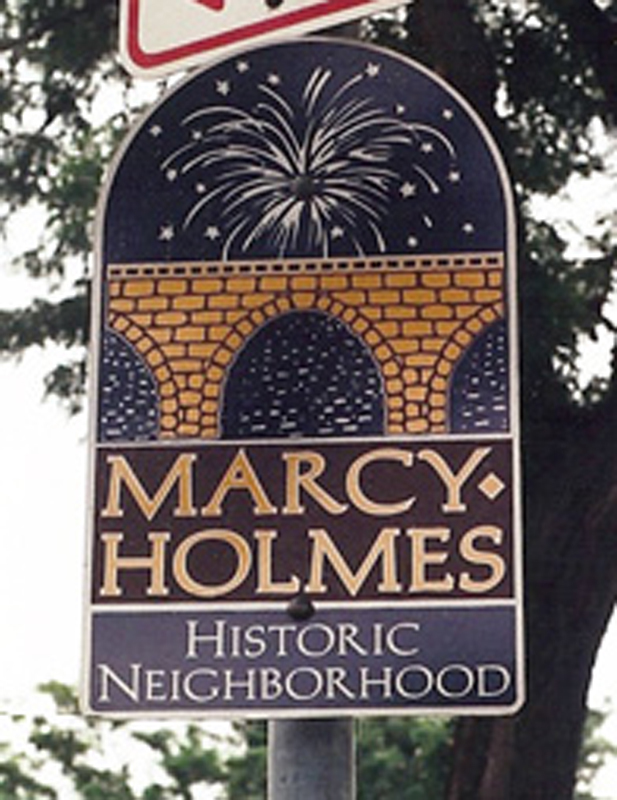 Originally the town of St. Anthony Falls, Marcy-Holmes is the oldest neighborhood in Minneapolis. 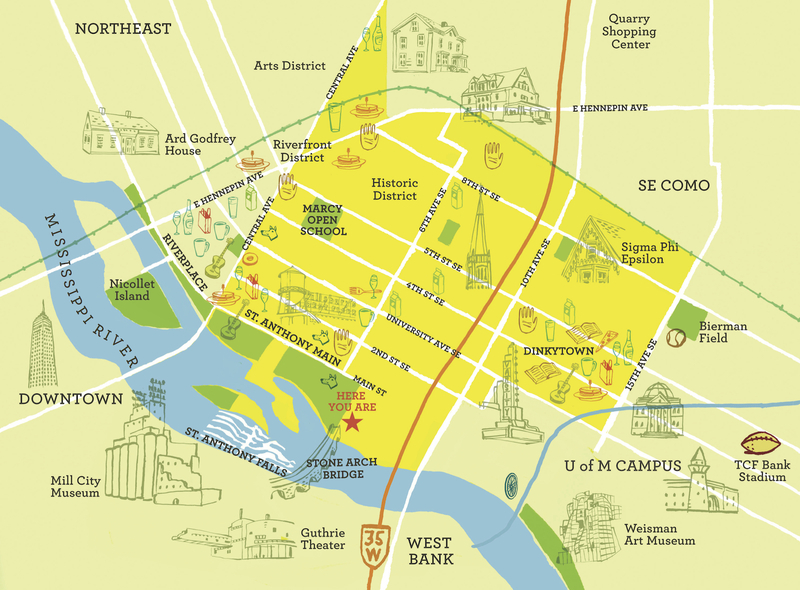 It is east of the Mississippi and south of East Hennepin Avenue, which is why it’s often called “Southeast” Minneapolis. The town of St. Anthony Falls incorporated into the City of Minneapolis in 1872 and in later years the area was renamed for a politician (William L. Marcy) and an author (Oliver Wendell Holmes). Today, Marcy-Holmes is proud to be a gateway to Minneapolis’ University District, which includes the Prospect Park, Southeast Como and West Bank/Cedar Riverside neighborhoods, as well as the University of Minnesota’s Minneapolis campus. • and cultural organizations like Midway Contemporary Arts and The Soap Factory, which is housed in one of the few remaining Victorian warehouses on the riverfront. You’ll also find award-winning gardens: Marcy-Holmes is one of the country’s top 10 eco-friendly neighborhoods (according to Natural Home Magazine). You’ll see many beautiful homes and a vibrant mix of students, professionals, families, artists and entrepreneurs, many of whom will greet you with a smile. Energetic citizens are still engaged in improving the neighborhood. Membership in the Marcy-Holmes Neighborhood Association is open to all residents. For more information, visit marcy-holmes.org or call 612.623.7633. 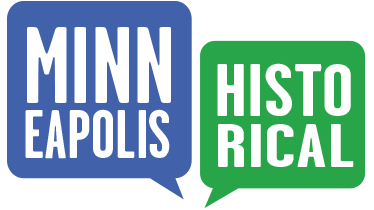 Marcy-Holmes Neighborhood Association, “Marcy-Holmes Today,” Minneapolis Historical, accessed April 18, 2019, http://minneapolishistorical.org/items/show/100.